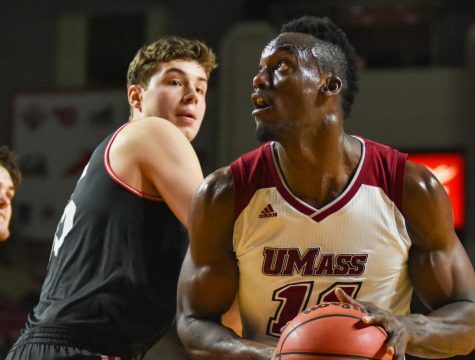 The Massachusetts men’s basketball team received some good news this week in terms of its frontcourt depth, as senior transfer Antwan Space returned to the team. 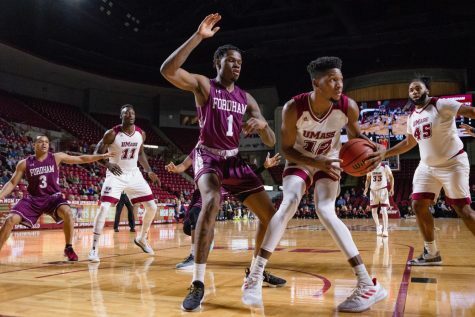 The transfer from Texas A&M has missed the first 10 games of the season after leaving the team Nov. 9, five days before UMass’ regular season opener, so he could “attend to a private matter” according to the athletic department. Space returned to practice Saturday and is expected to make his season debut Monday against No. 14 Providence at the Mullins Center. 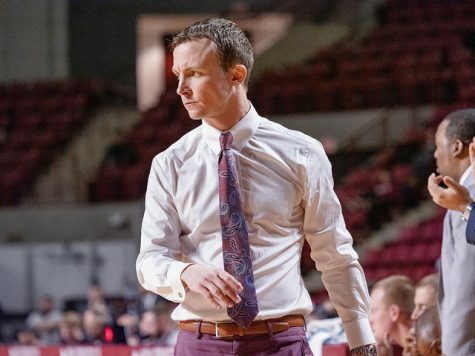 Minutemen coach Derek Kellogg said his presence is a welcome sight. 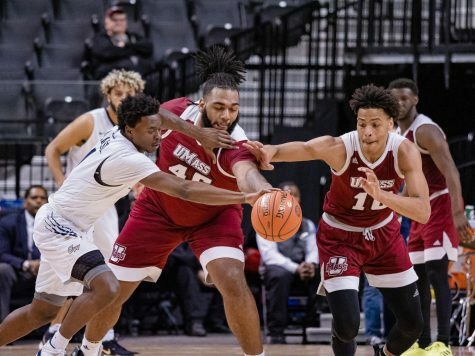 Kellogg said how much playing time Space receives Monday will depend on how quickly he can get into game shape and become comfortable within UMass’ offensive system. 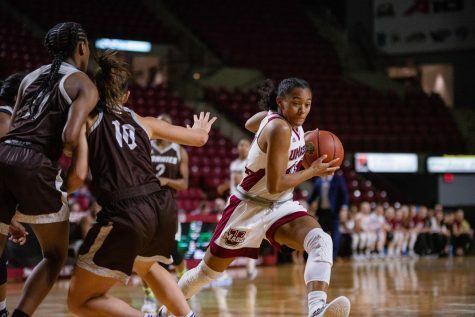 Getting used to the Minutemen’s style of play was something that Space was briefly exposed to in preseason practices as well as UMass’ August trip to Europe where the team played two exhibition games in August. Kellogg said he hopes Space can recall from this period to help in his transition. 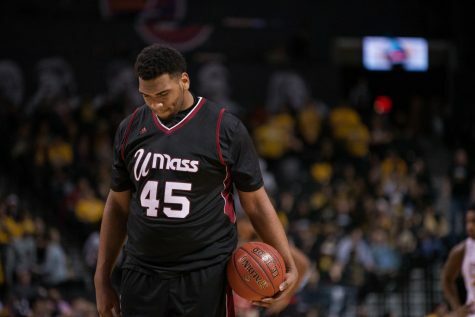 Kellogg added that the end of finals week provides an excellent opportunity for Space to spend more time with the team so that he and the rest of the Minutemen can adjust to any change in the rotation. 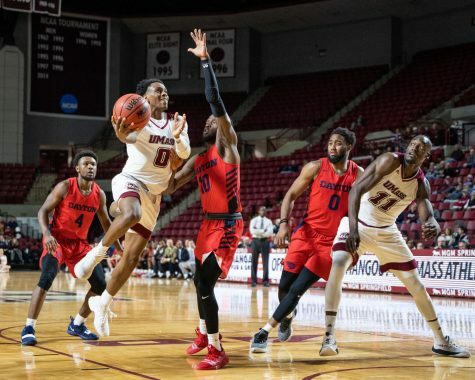 After coming over from Texas A&M, the 6-foot-9, 238-pound forward was expected to bring experience and reliability to the post and mid-post positions as freshmen centers Rashaan Holloway and Malik Hines became accustomed to the college level of play. 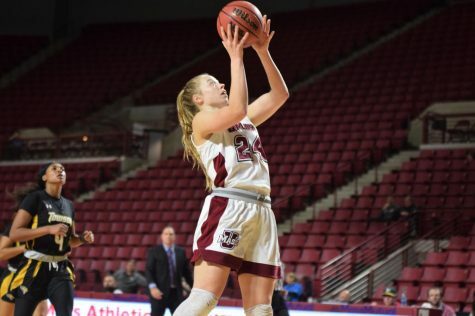 Without Space, who averaged 4.2 points and 2.9 rebounds in 2014-15 with the Aggies, the two freshmen were thrusted into large minutes of action immediately, with mixed results, as senior center Tyler Bergantino also missed the first seven games with an injury. 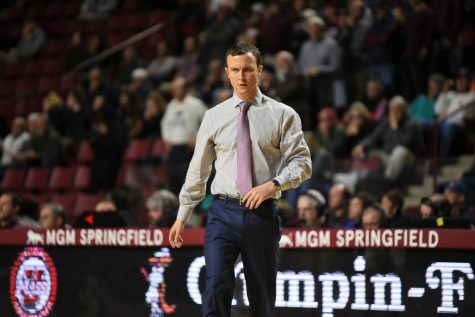 Space’s absence led to the Minutemen turning to a smaller lineup at times, consisting of three guards and forwards Seth Berger and Zach Coleman in the post. 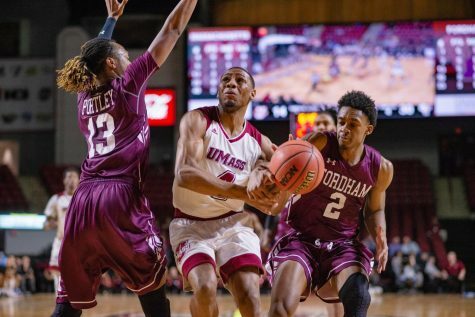 Kellogg said that Space allows for more depth, something UMass has lacked all season, and shifts players back to their more comfortable spots on the floor. Space was unavailable to the media before Saturday’s practice.